This wine is certainly of no small reputation and may be Chile's best scored wine of the decade. 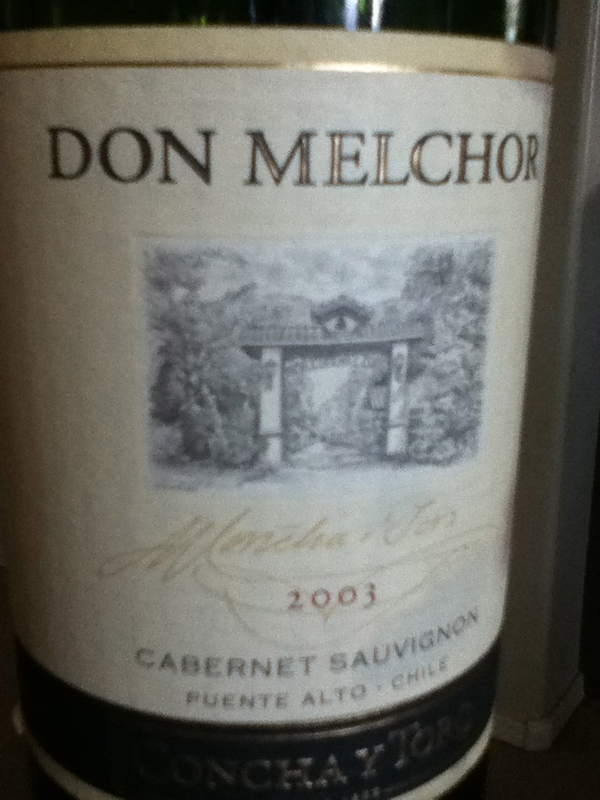 Looking over the wine scores for Don Melchor over the last 10 years, I couldn't find a single score under 91 points. 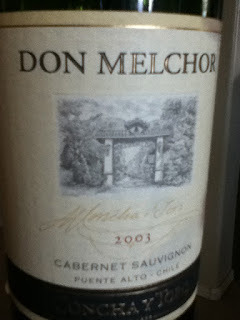 This vintage that I'm lucky enough to be tasting was actually a 96pt wine and #4 on the Wine Spectator's Top 100 wines. I have tasted this wine before, but let's find out how the wine has matured over the last five years or so, and see if indeed the wine was worthy of such merit. The color has held up absolutely perfectly and it's almost just as dark and opaque as it was upon release. There is only the very slightest of fading towards the edges of the glass, but if you didn't know it was the 03' this could easily go unnoticed. On the palate this wine touches down with a barrage of black currant and blackberry flavor, as well as secondary notes of black pepper, mineral, tar, sage, and bitter chocolate. The tannins are still very much a factor on the finish towards the front of the palate, and the black currant sings for at least a minute or two post-sip. (you like that...."post-sip")!